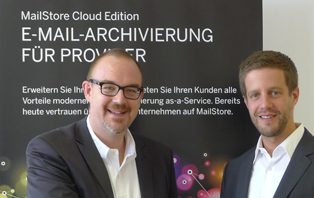 MailStore Server has quickly advanced to be become one of the global leaders in email archiving solutions and has established an enviable market position in the D-A-CH region,” says Tim Berger, CEO at MailStore. “Needless to say, we have the excellent work of our distributor EBERTLANG to thank for this. Its team made great strides in our home market thanks to their outstanding expertise and the very proactive approach they have taken,” added Berger. Find out more about the extension of the partnership with EBERTLANG in our current press release.